The demand for data is growing, which means an increasingly competitive business intelligence and analytics market. However, with so many different business intelligence and analytics products out there, choosing one is difficult. 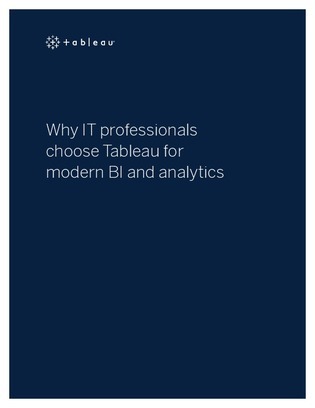 Read this product overview to learn more about Tableau’s offerings.